BRUNEI Darussalam is associated with some of the former sultanates in Indonesia. Two in particular was the Sultanate of Sambas and the Sultanate of Matan. The Sultanate of Sambas connection can be attributed to Sultan Tengah, the first Sultan of Sarawak and the younger brother of Sultan Abdul Jalilul Akbar, the 10th Sultan of Brunei who married the sister of Sultan Muhammad Safiuddin, the Sultan of Sukadana. After Sultan Tengah left Sukadana to go to Matan, his eldest son, Radin Sulaiman carried on his father’s work in propagating Islam, and eventually moved to Sambas. In Sambas, Radin Sulaiman was crowned as the first Sultan of Sambas – Sultan Muhammad Safiuddin I in 1584. Before he was coronated, he sent a message to his uncle, Sultan Abdul Jalilul Akbar in Brunei that he wanted to use the title “Sultan”. His uncle granted him use of the title on the condition that they must pay Brunei a visit prior to the coronation of any of his descendants. Sultan Muhammad Safiuddin I started the Sambas Sultanate lineage. Meanwhile, after leaving Sukadana to go to Matan, Sultan Tengah married one of the Matan Princesses, who eventually gave birth to a son named Pengiran Mangku Negara. It was PengiranMangku Negara who later became the Sultan of Matan. Another historical relationship that Brunei Darussalam has with Indonesia is with the Minangkabau. This was stated by Dra Zusneli Zubir M Hum, an Indonesian historian in a paper presented in the Third History Seminar organised by the Brunei History Centre in 2013. The seminar discussed the relationship of the regional Malay Governments with Brunei Darussalam. His paper was entitled “Hubungan KerajaanMelayu Minangkabau Dengan Brunei: Sebuah Tinjauan Sejarahdan Budaya” (The Relationship of the Malay Minangkabau Government with Brunei: A Review of its History and Culture). 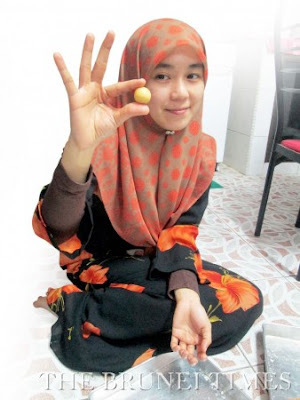 Who are the Minangkabau people? They belong to an ethnic group of Indonesian tribe who live on the highlands of West Sumatra, Indonesia and are usually called Orang Padang. 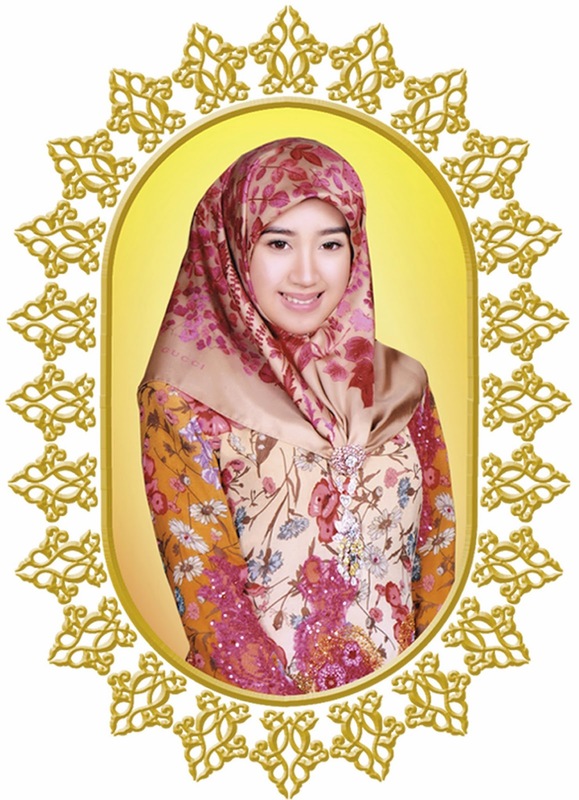 Minangkabau is always known as the largest matrilineal society in the world as they are formed under matrilineal in terms of marriage, inheritance and their way of life. However, the name itself is not as old as Brunei. The first mention of the name Minangkabau was as Minangkabwa, in the 1365 Majapahit’s court poem, the Desawarnana or Nagarakrtagama. The word Minangkabau is thought to be made up of the words ‘minang’ which means ‘victorious’ and ‘kabau’ which means ‘buffalo’. According to legends, Minangkabau wanted to avoid a war with a neighbouring kingdom. They agreed to use buffaloes to settle their disagreement instead. The other side set forward the largest and most aggressive buffalo, but the locals sent a hungry baby buffalo with its small horns that had been grounded to become as sharp as knives. When the baby ran towards the big buffalo hoping for milk, the adult buffalo did not sense any threat. But when the baby thrusted his head under the big bull’s belly, looking for an udder, the sharpened horns punctured and killed the bull. Buffaloes as cultural symbols can also be found in other Austronesian tradition. The horns are an important cultural symbol for the Minangkabau. 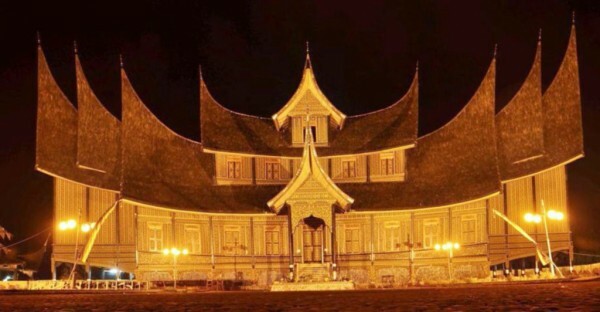 The roofline of the Minangkabau houses (Rumah Gading) curve upward from the middle and end in points, imitating a buffalo’s horns. Similarly, the fabrics of the headdress of its women were also folded and formed to imitate the horns. How is this rather eclectic race in West Sumatra connected with Brunei? According to Dra Zusneli Zubir, Minangkabau had connections with Brunei in the past. The first connection according to the Indonesian historian, was through the propagation of Islam. Islam spread to Minangkabau around the 14th and 15th centuries. It was not until the end of the reign of King Adityawarman at the end of the 14th century, that the influence of Hindu-Buddha ended in Minangkabau. By the mid 16th century, Sultan Alif converted to Islam. With the spread of Islam, travellers from Minangkabau brought teachings of Islam to other parts of the region. One such place was to the Tapu Island in the Philippines. According to Joesoef Sou’yb, a Muslim propagator named Makhdum Awal from Minangkabau died there. Makhdum, together with another propagator, Raja Baginda, erected the first mosque in Sulu in 1450-1480 during the period of Sayid Syarif Abubakar. Sayid Syarif Abubakar hailed from Johor, and later married the princess of King Baginda, putting him in line to become the next King of Sulu. Hamka in his book “Islam dan Adat Minangkabau” wrote that these two propagators also went to North Kalimantan in 1390. During their trip there, both of them went to Southern Philippines, then to Brunei and finally to Sabah. In the Salsilah Raja-Raja Brunei (the Brunei Genealogical Table), it was also stated that the Muslim propagators from the Sayid Syarif family had a relationship with the Sultan of Sulu. Dra Zusneli Zubir noted that in one of the writings, the third Sultan of Brunei, Sultan Sharif Ali, was married to the daughter of Sultan Muhammad, the first Sultan of Brunei. Sultan Sharif Ali is said to be descended from the King of Sulu known as Syarif. 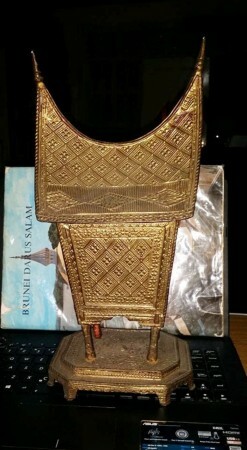 If this is so, then the Sulu Sultanate and Brunei Sultanate is connected to Minangkabau through King Baginda. The Brunei-Minangkabau connection is also made through descendants of Istano Pagaruyung. Based on the writings of Pehin Jawatan Dalam Seri Maharaja Dato Seri Utama Dr Hj Muhammad Jamil Al-Sufri Begawan Pehin Udana Khatib Hj Umar in his book, Dra Zusneli Zubir noted that the historical migration of Minangkabau to Brunei was during the reign of Sultan Nasaruddin, the 15th Sultan of Brunei reigning 1690-1710. During that time, Raja Umar, a member of the Minangkabau Royal Family, came to Brunei. He came disguised as a trader, and was known as Dato Godam. Dato Godam was the son of Bendahara Harun and his mother was the daughter of the Dutch Resident in Padang, Jan Van Groenewegen. Due to his mixed parentage, the people in Padang did not want Dato Godam to succeed his father. In Sarawak, he met Pengiran Temenggung Pengiran Abdul Kadir, who took him to Brunei. Dato Godam’s descendants are known as Awang-Awang Damit in Brunei, and the Abang descendants in Saribas, Sarawak. The Brunei-Minangkabau relationship can also be seen through similarities in culture. There are a number of words which are very similar. These include Bedil (Badia in Minangkabau), Langkau (Langkau), Jamban (Jamban), Gendang (Gandang), Lapau (Lapau), Surau (Surau), Masin (Masin), Sokong (Sokong), Elok (Elok), Inda(Indak), Kalatmata (Kalokmato/Ngantuk), Banar (Bana), Basuh (Basuah), Hampir (Hampia), Nini(Niniak), Bulih (Buliah). Further studies can be made on this subject matter in the future.